In case you’re going to receive a personal injury settlement or a reward, it is important for you to know and remember some important tax-related points. With jurisdiction, there can be a variance in the tax implication. The approach of federal tax code towards these awards is however quite clear. If you’ve sustained an injury, then payment of taxes on any funds given to you to cover costs like bills for medical and legal expenses is not necessary. It is possible to get an amply tax-free benefit on these funds, depending upon the difference between the total injury cost and the award amount. Tax on income will be applied to any amount received as punitive damages. Tax return for the year in which the judgment was issued should have value of these damages added to your gross income calculation. Any compensation received for lost wages also needs to be reported. It can be exhausting to get a recovery of the awards released to you. 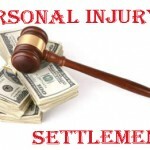 A cut from your award(s) is mostly taken by the personal injury lawyers. The funds are deposited by the faulty party in a trust account that is under the control of your lawyer or his firm, which is then later transferred to the proprietary account. One-third of the total settlement value is generally taken by the lawyers as their cut. Some generous ones can take only 20 to 30 percent of the funds instead, while others may ask for fees upfront leading to a reduced back-end payment value. The remainder of funds are then transferred to your account. Using these funds wisely is important, and hence they must be placed in an interest-bearing account, invested in stable investments, or used to settle any outstanding debts for the related incident.